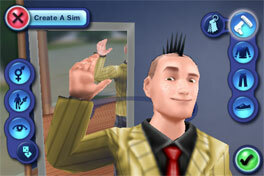 I know all you Sims fans out there are waiting for the release of Sims 3. Well, it seems that they are going to be releasing it for the iPhone and iPod Touch as well. According to the demo videos below…it will hit the App Store on June 2nd! Just a few more days! No info on how much it will cost but I think it is safe to say that, based on Sim City and the depth of the game, it will be in the $9.99 range. Probably totally worth it.